Woman724: PLANTATION LIFE (8) – Cocoa – Malaysia is the World’s 5th largest producer. PLANTATION LIFE (8) – Cocoa – Malaysia is the World’s 5th largest producer. Filipino workers sowing cocoa seeds in polyethylene bags. needs shade, especially during its establishment. The cocoa tree is a small tree. It produces cocoa pods on its woody trunk and branches. The 20cm long pods are red or yellow and are hard. 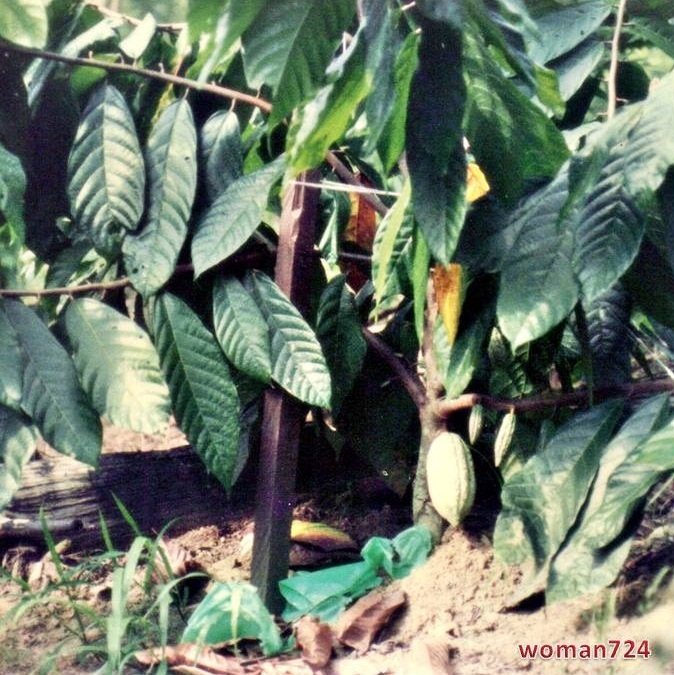 Cocoa pods are produced throughout the year. Natural Cocoa Powder is made from well-fermented and roasted cocoa beans. The Cocoa tree's botanical name, 'Theobroma cacao' translated from the Greek means "food of the gods" has a history as far back as 1662. Cocoa was first introduced to South East Asia in the 17th century by the Spanish and brought to Sabah in the early 18th century. In Malaysia, the first cocoa planted area was found in Malacca in 1778. The earliest cocoa commercialization started between 1853 to 1959, first planted at Jerangau, Terengganu. The Malaysian cocoa industry started its commercial planting in the early 1950s, experienced a growth that was accelerated by high prices of cocoa in the 1970s and 1980s. The prices of cocoa beans varied greatly over the years due to shortage or over-supply of world cocoa beans. The all time record of the price was in 1977 when it reached RM 13,000 per ton. Malaysia currently is the world’s fifth largest cocoa producer and is the largest cocoa processor in Asia. However, due to the persistent low prices which started in early 1990 coupled with extensive labor compared with the oil palm industry, most plantation companies were no longer interested in cocoa cultivation. Today, cocoa is the most popular and most favoured flavour in the world. For an interesting read on the health benefits/tips/recipes of Cocoa and new research/findings go here . hi katrina, i am a sucker for chocolates. used to like white chocolate a lot, but when i knew that milk destroy the benefits of pure cocoa, i stopped. cocoa is good for heart health and flow of blood to the brain, so i eat dark chocolate now. STRESS EXERCISE – Try this!